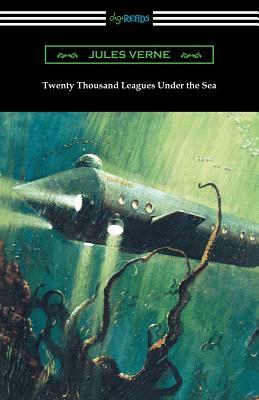 Originally serialized between March 1869 and June 1870, Jules Verne's "Twenty Thousand Leagues Under the Sea" is one of the greatest underwater sea adventures of all time. It is the story of Professor Pierre Aronnax who sets off aboard an American frigate to investigate a series of attacks, which has been reported to be made by an amphibious monster. The monster in question is actually the submarine vessel the 'Nautilus, ' which is commanded by the eccentric Captain Nemo. When the Nautilus destroys the Professor's ship, he is taken prisoner by Captain Nemo along with his trusted servant Conseil and the frigate's harpooner Ned Land. What follows for the three is a tale of great adventure and scientific wonder. An early pioneer of science fiction, Jules Verne's work is noted for its prediction of scientific advancements. In the case of "Twenty Thousand Leagues Under the Sea" Verne accurately forecasted the development of submarine vessels. It is at once a harbinger of technology to come and captivating tale of adventure which has delighted readers ever since its original publication. This edition is printed on premium acid-free paper, is translated by F. P. Walter, and illustrated by Milo Winter.